So today MAC Viva Glam, Miley Cyrus goes on sale online. Given that it’s one of THE most anticipated MAC lipstick launches of the new year. I figured i’d get a post up in time, with more pictures, less talk. 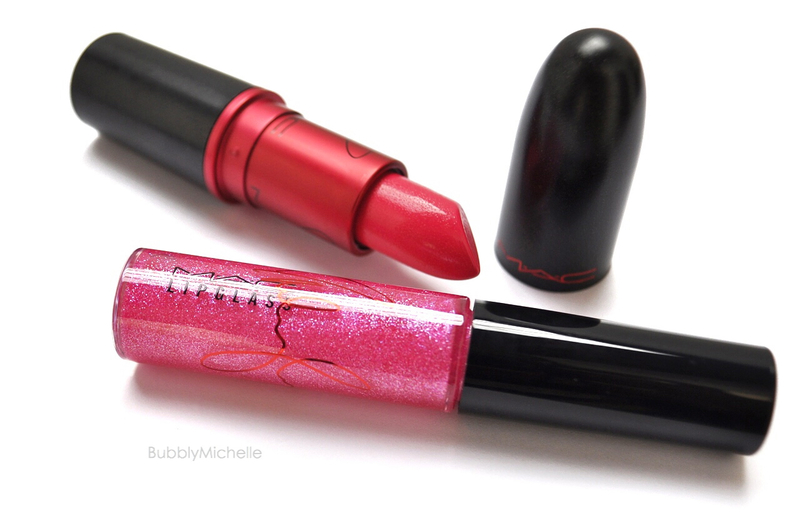 Here’s a look at this beautiful pink lipstick & gloss! According to MAC, Viva Glam Miley Cyrus lipstick is described as a hot pink in Amplified finish. I’d say it’s a warm, bright, medium pink. The colour payoff is very impressive and I feel that the formula is very moist and glides over the lips with ease. In my opinion the texture of this is better than the Rihanna Viva Glams I own. 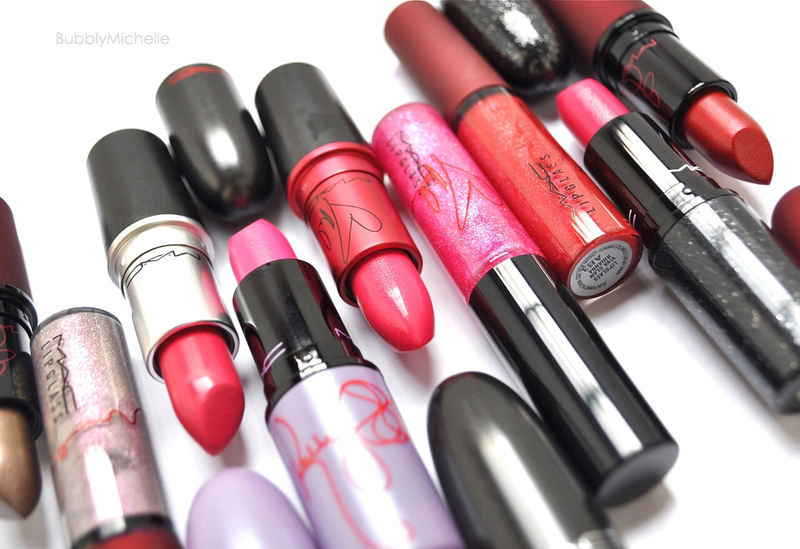 Below I’ve rounded up a few of MACs recent pinks for comparison purposes. As you can see, Miley Cyrus is a healthy medium with a very bright tone. In comparison, No Faux Pas (matte) is slightly cooler and has more magenta tones, and Good Kisser is warmer in comparison and has more red tones. Both are significantly deeper than VG Miley. And a complete swatch line up. 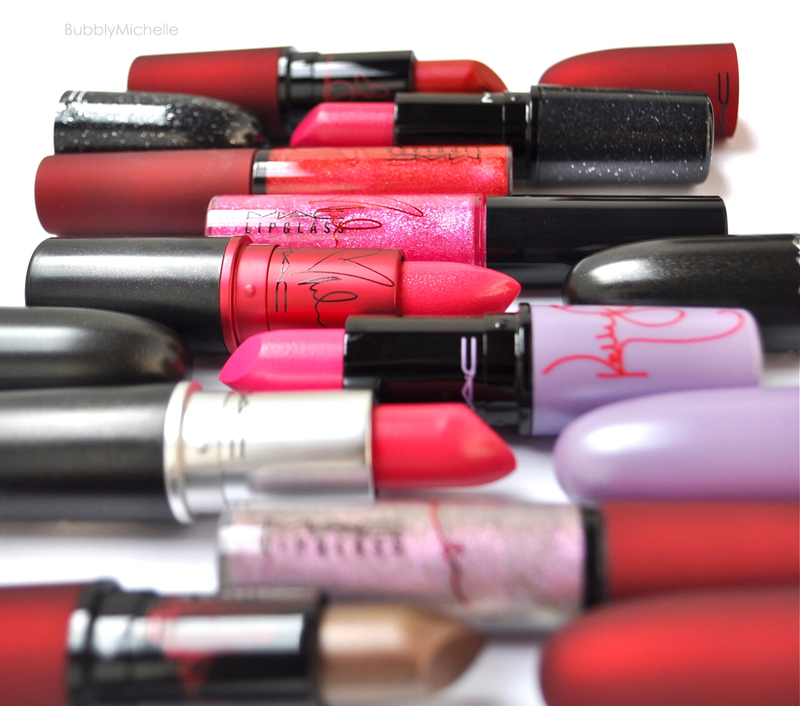 As you can see, none of them are exactly alike, and if you are a pink lover, I’d highly recommend you add Viva Glam Miley Cyrus to your stash. Especially the lipstick! Its crazy but i have never used or owned sny MAC products .. I just bought a bunch as a gift but nothing for me .. Its sure on my list. I like the Cle de peau foundations best for dry skin as they are very hydrating. The new Radiant Fluid foundation actually feels like skincare so I just use my fingers to put it on! Another good one is the Lancome Absolue foundation. This too is a very nice hydrating texture. The By Terry Sheer expert is also one of my favourites ❤ All three are my go-tos for everyday use. They never catch onto or emphasise dry patches and leave skin looking very moist and skin like. Oh great !!! I have not tried any of these yet … Will be on a lookout ! Amazing post! 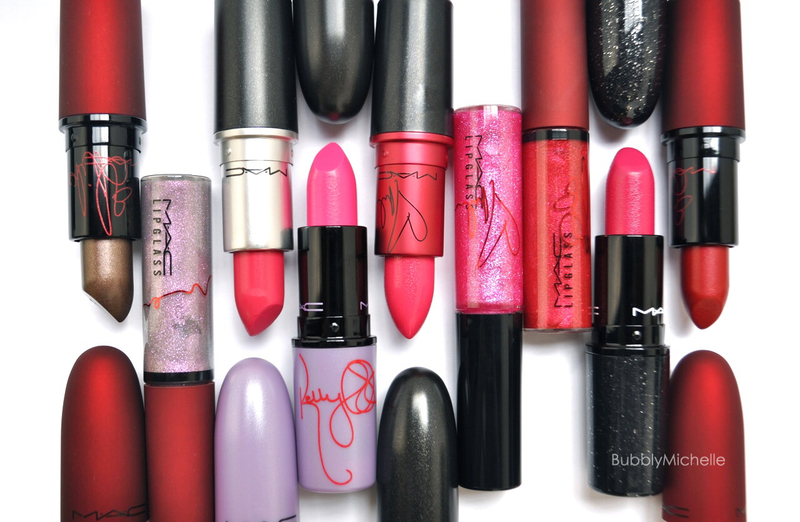 I love your swatches and the way you compared Viva Miley to other MAC lipsticks. I have to say Viva Miley is gorgeous! I am somewhat hesitant to purchase it, due to the bright colour. But come summer time I feel like I’ll be rocking this constantly! That is such a gorgeous lipstick!! Do you happen to know what finish this is?